It has been a bit since I have done one of my idiot beer reviews so, on this day of the Sabbath, I figured I might as well get back on it. This time I have tied the beer review to something that I have been looking forward to for quite some time. The remake and release of a 1980 classic, The Evil Dead. I have not seen it yet but after the hype has calmed down I will be in row three with no snacks. I heard it’s pretty gory. I have an easy gag reflex. As far as the beer goes, New Holland Brewing from Holland Michigan, is one of my all time favorites. Jason Spaulding and Brett VanderKamp, the founders, represent the all-American dream; loving beer and deciding to get wealthy making it. 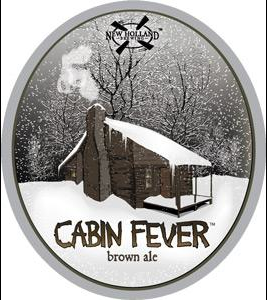 This particular review is the winter brown ale, Cabin Fever. I love the spooky font and the bottle art makes me think that there is a body in the backyard wood chipper. It screams VeggieMacabre and now you’ll have to watch the video to see why. Spoiler alert! I loved it. Great stuff, bud! I could watch you fold laundry I’m such a fan of your vids. Let me know about Evil Dead after you see it! I thought it was pretty awesome. Thanks friend. I feel the same way about your videos. I will probably see this movie in a week. Need to let the hype pass first. Although opening night is always pretty magical. Do your research and find out does Dermatend work and see what other people say. This way, you’ll be able to make a well thought out decision that will benefit you in the end. You can also learn the proper application of a certain methods to speed up the healing process.